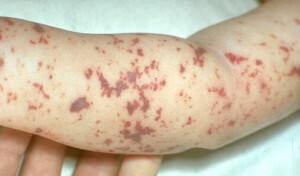 A, a five year old boy, came home from kindergarten with a temperature, pains in his knee, and a rash. Meirav, his mom, took A to the family doctor, who recommended taking paracetamol, (acetaminophen). A’s temperature went down, but by the next morning it was back up. Even worse, A couldn’t walk. The family doctor was concerned and didn’t like the unusual rash that had developed. He insisted that they take A to an emergency room immediately. Meirav hurried to Hadassah Mount Scopus as one of her other children had had a good experience with the excellent pediatric emergency department there. The emergency room (ER) team at Hadassah suspected a serious infection and sprang into action: a spinal tap, blood tests and treatment for invasive Meningococcal disease. The cultures later confirmed the doctors’ hunch that A had invasive Meningococcal disease in which the entire body is attacked by the bacterium Neisseria meningitides. In this rare and often fatal disease, the membranes that cover the brain and spinal cord become inflamed. It spreads so quickly that even those who manage to survive it may be left with disabilities that include deafness, brain damage, and neurological problems. Babies, children and teens are at great risk of death. 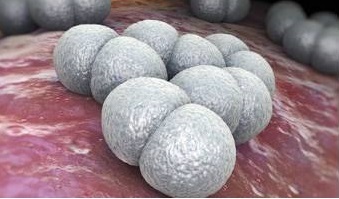 Meningococcus is also contagious. Everyone who had been in close or prolonged contact with A at kindergarten and members of his family had to be examined and remain under close supervision. There is prophylactic treatment but no vaccine for the strain of bacteria A had. The kindergartener, while still receiving medication, was released from the hospital after two-weeks with a good prognosis.